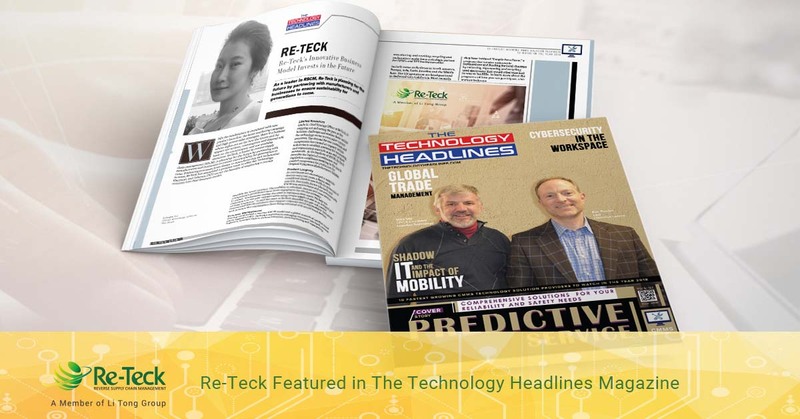 November 21, 2018 – Dallas, Texas – Re-Teck, a subsidiary of Li Tong Group with regional facilities located in Grand Prairie, Texas, was recently featured in The Technology Headlines Magazine. The magazine reports on the latest trends and business ideas in retail, telecom, IT and healthcare. The magazine provides a platform where industry leaders and professionals share ideas and connect with customers. For individual businesses, the cost of RSCM often makes it an unfeasible option. Re-Teck has established a global network of certified third-party logistics (3PL) to assist businesses in managing consumer take-back, reverse logistics, transportation, data sanitization, parts harvesting and repurposing. For more information on Re-Teck, visit www.re-teck.com.